This 'Ship' series of movies makes use of the extreme telephoto setting on my camera. By focusing on objects at the horizon they introduce a vagueness to the ontology of the observed objects. This is enhanced by integrating imperfections in the mix of the recording and editing processes. The sound tracks are created to add a further layer in the denaturing of the initial imagery by suggesting (for instance) morse code. Ship 03. 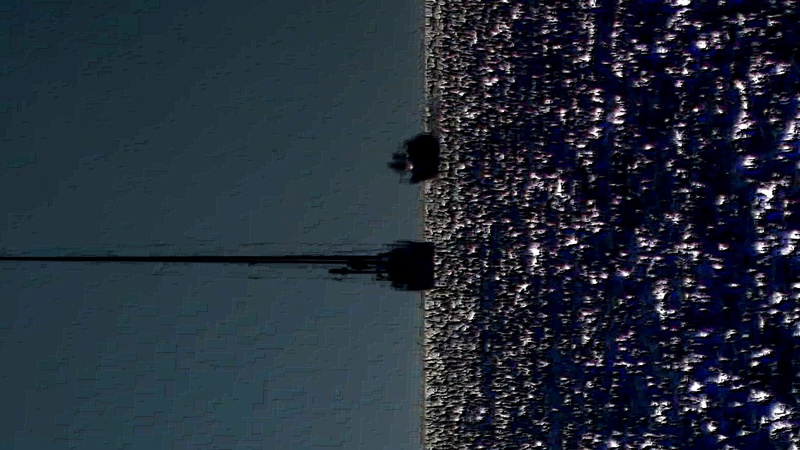 This movie observes the optical vibrations of a ship as it rests in harbour. 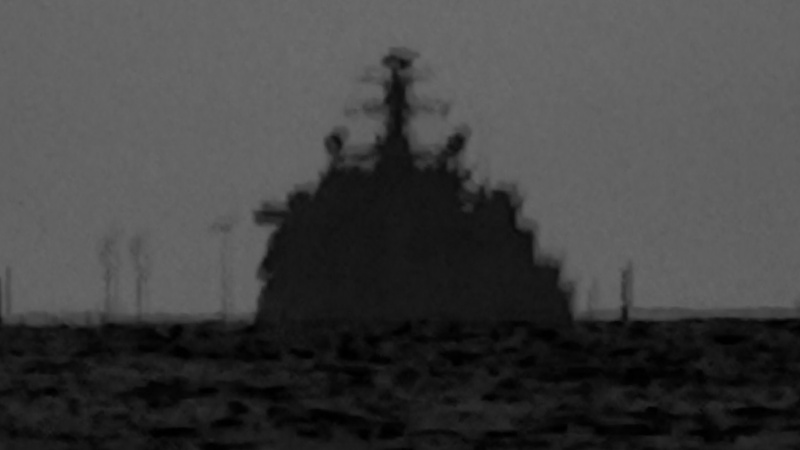 The ship occupies a statistically ambiguous ontology in relation to its perceived reality. This movie was made using the extreme zoom facility on my camera. The music follows the dots and dashes of the Morse code that such a ship would use to communicate. Ship 04. This movie observes the motions of a ship as a barometric phenomenon. Here the mast of the ship logs the increase in atmospheric pressure over the sea. The music arpeggiates the motion of the waves. Ship 05. In this movie the ship traverses the sphere of charge that emanates from a lighthouse in the distance. 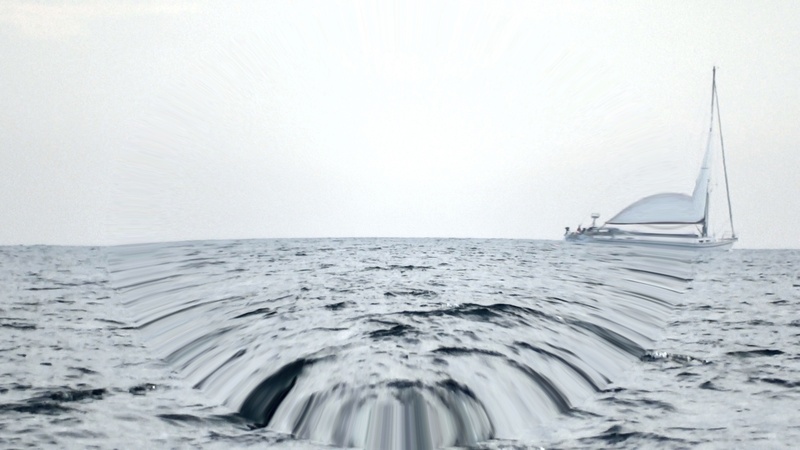 This has the effect of distorting the morphology of the ship in response. The music reflects this distortion by means of glissandi through the low frequency oscillator.